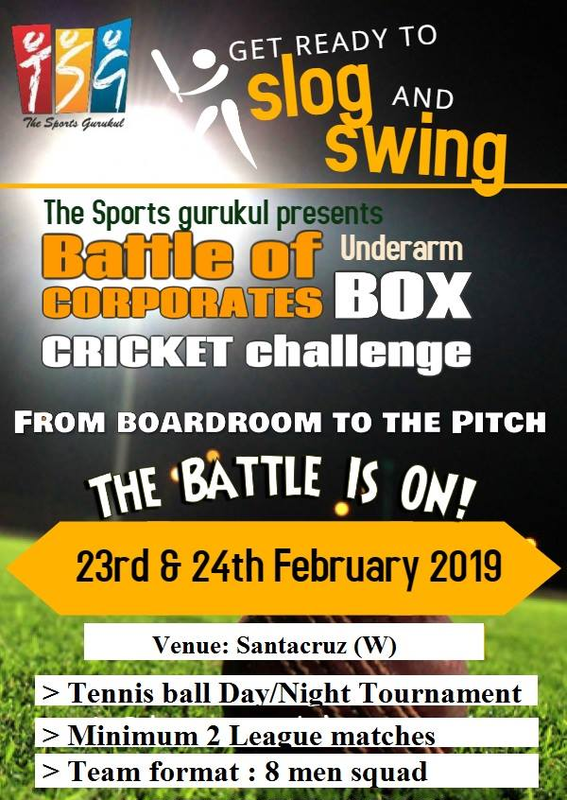 With the Cricket World Cup just on the Horizon, The Sports Gurukul presents Box Cricket Tournament to get you in the World Cup mood. Date: 23rd and 24th Feb 2019 Venue: Santacruz west. Get your Cricket gear on, create a squad with your Company employees. Employees from different companies can come together and form a team as well.